Like many other types of mold, a red mold is a problem you need to tackle early to prevent any big future losses. 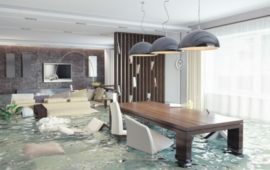 While it may start as little specks, it can grow into large spots and even fungus growths that can destroy the structural parts of your home. 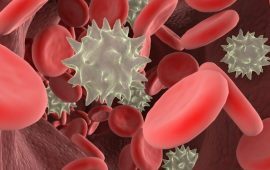 The red mold may also present health risks, especially among people with compromised health. Learn everything you need to know about red mold, and find out how to prevent and remove it. 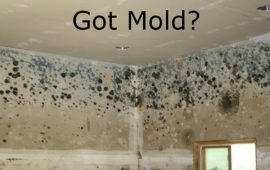 The red as one species, but do you know that several types of mold actually have reddish color at a certain stage of their life? 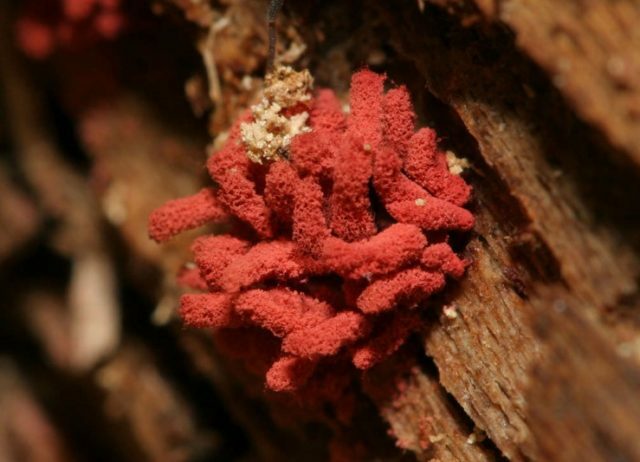 Just because a mold colony looks red, it does not mean that it belongs to one species. 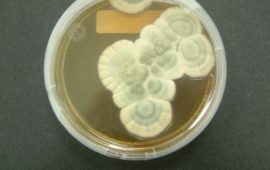 Several types of mold also have red as their common shades, such as Aspergillus, Fusarium, and Rhodoteorula. The red mold may appear as small spots or specks that can be confused with regular stains. However, if the red spots do not disappear and even grow larger, you can be sure that they are mold. When the colony grows uncontrollably, they also release a musty smell that is commonly associated with mold. Red mold often escapes from people’s “danger radar”, because it does not get as much hype as black mold or green mold. 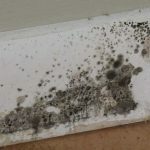 Also, people with a healthy immune system and no asthma or allergy usually can live with some level of red mold growth in their houses without getting sick. 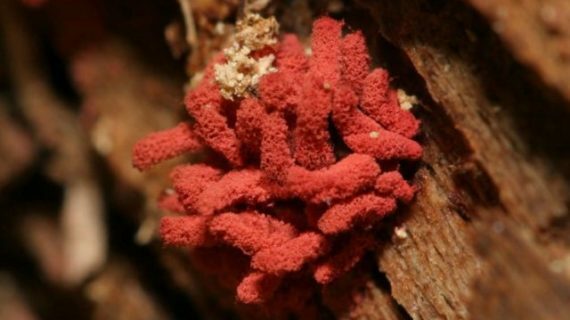 Accidentally eating red mold (such as from old foods) also does not cause healthy people to get sick. People with respiratory problems, such as asthma, pneumonia, or bronchitis. People with allergy, or tend to develop allergic reactions easily. 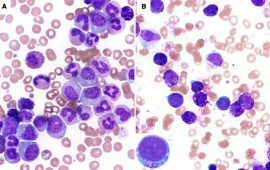 People with compromised immune system, such as those with AIDS, Lupus, and cancer. The elderly, especially if they often get sick. 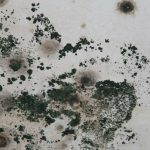 The most common symptoms of mold exposure often include conditions that are hard to distinguish from general ailments. They include dizziness, headache, sneezing, coughing, blocked nose, eye irritation, and exhaustion. 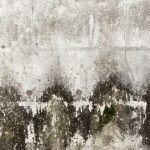 If you experience these symptoms without explanations, especially if your house has a high risk of mold, you should consider the possibilities of red mold exposure. Shower and bathroom are the most common areas where mold grows, including red mold. This is because shower and bathroom are often damp, and there are also a lot of “bacteria foods”, such as shampoo or soap residue. The fungus colony usually grows on spots such as near the insulation, under the sink, near the sinkhole, on the shower walls and curtain, and near the faucets. When the red mold is still in early stage of growth, it is often hard to distinguish from stain. The small red posts are usually easy to wipe. However, if the red spots come back even after you wipe and scrub, there is a possibility that it is mold. 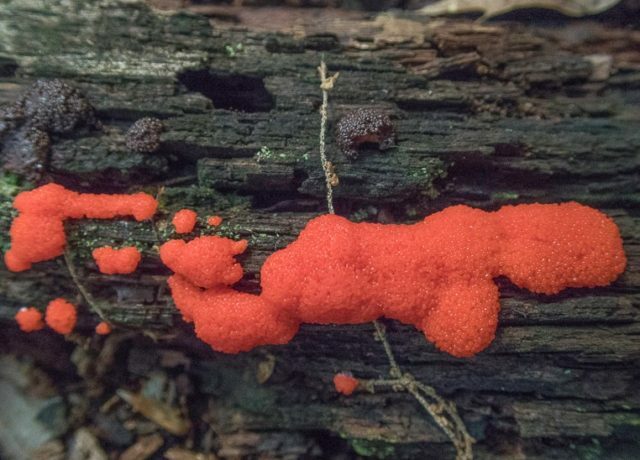 Red mold can also grow on foods. 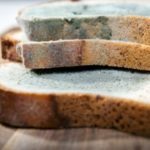 Bread, cheese, and other dairy or fermented products are especially “popular” among mold. They are nutritious and usually kept in warm, covered place (especially bread). Sometimes, the mold is not immediately seen. You probably cut through a perfectly good bread or cheese, only to see mold growing inside the food. Red mold on food is generally not dangerous if you accidentally eat it. However, if you have an allergy or compromised immune system, eating mold can be dangerous, especially since bacteria often grow with mold. Also, if you do not remove it quickly, the mold can quickly spread to other foods that are stored together with the infested mold source. Safety equipment is necessary to protect your eyes, nose, and respiratory tract from ingesting mold spores, especially during vigorous rubbing. There are several safe ingredients that can clean red molds, such as baking powder, white vinegar, and hydrogen peroxide. Mixing 1 part of one of the ingredients with to parts of water will create good solution to remove mold without chemical products. 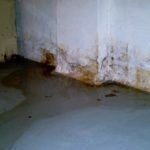 The first step for cleaning mold is spraying the moldy surface with the cleaning solution you made. Let it sits for 10 minutes to one hour before you scrub. Repeat the step, and make sure there are no small spots left. 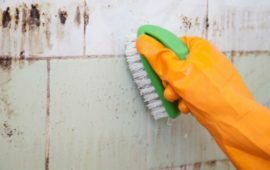 Once you clean all the moldy parts in the bathroom and shower, and there are no signs that the mold will come back, you must keep these places dry and clean. Install a fan to keep the bathroom dry when not used. Make sure the bathroom gets natural light and good air circulation to prevent the new mold growth. Finally, if the mold keeps coming back even after repeated cleaning, you must know when to actually call an expert. 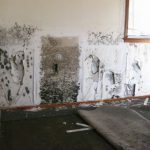 Also, if the red mold infestation already eats up more than 10 square feet of area, it is generally a better choice to call mold removal expert. If you find red mold in the food, the first thing you must do is remove all the moldy foods. You must also clean all the area where that moldy food is previously stored. This is to prevent the mold from spreading to other foods, ruining the entire content of kitchen cabinet or refrigerator. Red mold may not have infamous reputation like black mold, but it is still a dangerous thing to let grow in your house. Make sure you clean your house and reduce the possibilities of red mold growth as best as possible, and avoid future problems this way.